For the parent multi-sport club, see Fenerbahçe S.K. Fenerbahçe Women's Basketball are the women's basketball department of Fenerbahçe SK, a major Turkish multi-sport club based in Istanbul, Turkey. Founded in 1954, they became the most successful in Turkey, alongside Galatasaray, and achieved considerable success in European competitions. They became EuroLeague runners-up on three occasions, in the 2012–13, 2013–14, and 2016–17 seasons and reached the third place once in 2016. They also became fourth in the 2011–12 and 2014–15 seasons. 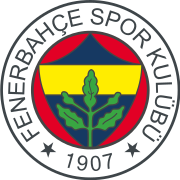 Furthermore, Fenerbahçe became runners-up in the EuroCup in 2005. Overall, they played in four major European finals and managed to be among the best four European clubs six times. 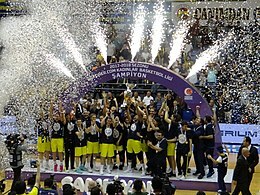 Domestically, Fenerbahçe won a record 16 Turkish championship titles (3 in the former Turkish Women's Basketball Championship and 13 in the Turkish Women's League), a record 12 Turkish Cups, and a record 11 Turkish Super Cups, among others. Fenerbahçe play their matches at either the 1,500-seat Caferağa Sports Hall or the 13,800-seat Ülker Sports Arena. This is a list of the senior team's captains in the recent years. Italic written players still play for the club.